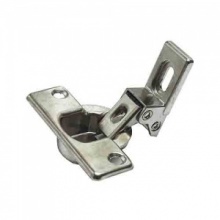 Genuine replacement Electrolux washing machine door hinge. This door hinge attaches your cabinet door to your Electrolux integrated washing machine. When all the shops couldn’t provide my item I searched the website. Found Parts4appliances ordered, delivered and in place within two days. Would definitely recommend.